Bedkings are Brisbane's factory direct bedding outlet. Offering a range of exceptional quality, Australian made beds and bedroom accessories direct to you. Our mattresses, bed bases and headboards are all fully customised with an extensive range of exclusive fabrics to choose from, all at wholesale pricing. Our manufacturing facility has a vast selection of bed styles to choose from, making it perfect for those who want a specific look for their bedroom. Our long-standing commitment to quality means that we don't compromise. We only use quality Australian raw materials in our products, nothing imported! As a small family owned business we pride ourselves not only on our beautiful products but our exceptional customer service. Contact us today to arrange an appointment or visit us in one of our showrooms! 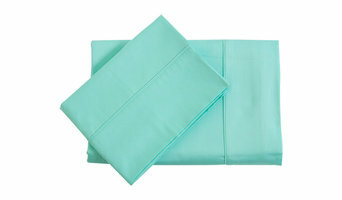 Pillow Talk,is one of the most esteemed home linen and homewares specialists in the country. We carry an extensive range of bedlinen, bedding, towels, homewares and soft furnishings and have a commitment to style, quality and value for money. 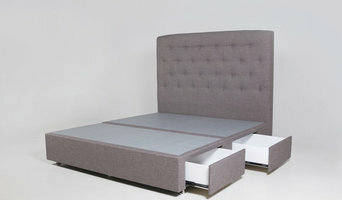 Domestic and Commercial Wholesale Bed Supplier. Local or Interstate. Suppling mattresses, bedroom furniture and Manchester. Discover stylish and spacious serviced apartment hotel accommodation in an unrivalled location in Spring Hill Brisbane. Whether travelling for business or leisure you'll feel right at home in our great range of flexible serviced apartment options. Punthill understand the unpredictable nature of business travel for small to medium sized companies and are able to make the decision of choosing accommodation easier with the Punthill Corporate Travel Program. As a member of the Punthill Corporate Travel Program, you can access discounted rates at 13 locations in Melbourne and Brisbane. To become a member, simply complete the form below and a member of the sales team will contact you to discuss a rate offer tailored specifically to your ongoing accommodation requirements. Home Care Assistance Brisbane North helps seniors to live a better life at home. We have more than two decades of experience in helping seniors to lead a happy life. We offer compassionate care workers to help seniors with daily household chores. We provide excellent help to seniors with Alzheimer's, Parkinson's, stroke, and dementia. We have helped many seniors in the communities of Brisbane North. We want to bring a change in the senior home care industry. We strive every day to provide help to seniors by using our holistic ways. Your loved one can enjoy the company of one our care workers. If you need extra help for your loved one daily then contact us at 07-3314-2575 to schedule a free in-home session today. Located in Village Square Town Centre, we have a wide range of bedding, mattresses and more. We have been helping Australians sleep well for more than 20 years. Find Beds R Us Browns Plains next to Anytime Fitness. Prominade bathroom renovations is a company that covers Brisbane, Australia. We cover from Bribie Island to the Gold Coast but the main focus is Brisbane central, north and south. We have years of experience with bathroom renovations and pride ourselves on our quality work. John is a licensed waterproofer and plumber and over sees every job. Planning a bedroom makeover? Creating a luxurious retreat won't be complete until you fund the ideal duvet, linen and other bedding. Quilt covers alone can transform a space from ho-hum to a grand boudoir. In the same way, a bathroom makeover can be as simple as new bath towels or bath accessories. A bathroom renovation in Brisbane could see you sourcing a new bathtub or bathroom taps. Here are some related professionals and vendors to complement the work of bedding & bath: Home Stylists and Property Staging, Kitchen & Bathroom Designers, Interior Designers & Decorators, Furniture & Accessories. A good place to start is re-vamping your storage. In a bathroom, where storage is often in short supply, a supplier who has a wide variety of brands and ideas can save your days of searching. 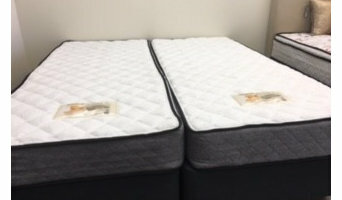 So start by perusing the reviews and ratings of bedding and bath manufacturers and retailers in your Brisbane, Queensland area.